Stunning photography is necessary to form a strong and lasting first impression. Bob Morris understands both the creative and technical sides of premium architectural photography. That’s exactly why he serves as the primary photographer for Sonoma Fine Homes. His outstanding photography capture people’s attention, delivers accurate property visual information, and compels home buyers to take a deeper look into what a property has to offer. With over 25 years of professional experience in real estate photography, and many hundreds of real estate captured, Bob has mastered the technique of capturing a property’s appearance and personality. We at Sonoma Fine Homes are proud to have Bob Morris on our team, as our photographer, strategic partner, and major contributor to our marketing of fine real estate in Sonoma county. 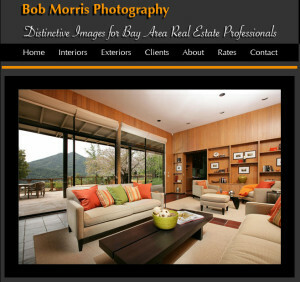 Visit Bob Morris at BobMorrisPhotography.com/RealEstate.